Recently there was a program that backed up the Warren Commissions findings that JFK was killed by a lone gunman, Lee Harvey Oswald. The claim was that the public had been “Zaprudered,” meaning that there was more time alloted to Oswald to fire the shots in Dealy plaza than originally thought. I just wonder how that escaped everyone for decades? 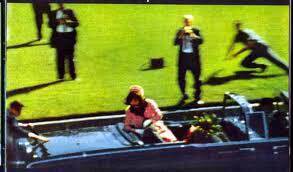 The film never explained why JFK’s head went back and to the left, as if the fatal head shot came from the grassy knoll, just like the eyewitnesses claimed it did. Oh well. The reason that I bring this up is because I believe that anyone who gets close to pulling the lid of the Federal Reserve, which has nothing to do with our federal government and in fact has held the American people hostage for decades, gets put away. JFK was going to abolish the FED, shatter the CIA, and pull the boys out of Veit Nam. I also believe that RFK would have followed suit, but they got him too. Yesterday I was listening to Limbaugh and then Hannity as I was driving. I normally don’t listen to either, however I was enlightened as each host began to tick of the names of the Republican Candidates, everyone was mentioned, including Herman Cain – who was “Meg Whitmaned” out of the race – everyone except Ron Paul. I wonder why? Paul never gets a fair shake from the media. He is ignored by the pollsters. He is left standing silent at the debates and given less than two minutes to present his views. I believe that Paul would change America. He would reduce the 900 military bases that we have scattered over the globe. Remember Eisenhower’s warning of the military/industrial complex? It’s here and has been since JFK was gunned down in Dallas. Remember Obama promising to end the war in Afghanistan and close Gitmo? Last time I checked both were in full swing… so much for promises. Yet the American public and our weasle-in-the-stream media, gives Obummer a pass. As Chuck Missler says, we live in a managed agenda. So why am I fixated on this Lone Gunman stuff this morning? I believe that If by chance Paul ever got the nomination, his life would be in danger, just as JFK and RFK lives were and fro that matter you can add Martin Luther King Jr., to the list. . Paul would bring real change and that threatens the powers that be. Recently our government supposedly killed Osama Bin Laden. Yet, there are no pictures and the body was hastily buried at sea. Do we really trust this account when we are now hearing that President Roosevelt knew about the Japanese attack on Pearl Harbor and did nothing? We know that Viet Nam and the Gulf of Tonkin “crises” was also managed. And my favorite of all, building seven of the World Trade Tower complex that falls to the ground, in its own footprint, at free fall speed…. In closing todays’ post: It’s December 7, the anniversary of Pearl Harbor. My wife’s uncle died that day. My father fought on the beaches of Normandy and afterward earned two purple hearts, and the Bronze Star, as he fought the Germans all the way to the Battle of the Bulge. It scarred him for life. He never recovered from it and may in fact have contributed to the Alzheimer’s that has taken him from us. When the Rider on the White Horse comes, and I believe He is coming soon, there won’t be war anymore. There won’t be a hidden confederacy of men and women who seek to control and regulate every aspect of our lives. 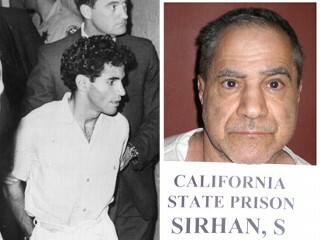 There won’t be a TSA, suicide bombers, nuclear arms race, CIA, Mossad, biased media, disease, poverty, and of course there won’t be a lone gunman, supposedly crouching behind a stack of books high above the streets of Dallas, or in the case of Sirhan Sirhan, firing 13 shots when his gun only holds 8.